The main movement of the ankle is bending the foot upwards and downwards, and there are a number of small bones in the foot that also allow slight rotation and twisting of the foot. There are a large number of ligaments in the ankle that support and stabilise the joints. The main role of ligaments is to connect one bone to another, and reduce any excessive movement from occurring. The most commonly affected ligaments in an ankle sprain are the ones on the outside of the ankle; anterior talofibular ligament, calcaneofibular ligament and the posterior talofibular ligament. On the inside of the ankle there is one main ligament; the deltoid ligament, which is very thick and less likely to be damaged in an ankle injury. Grade 1: minimal pain and swelling, and a slight loss of balance. Grade 2: moderate to severe pain and swelling, and may hurt to walk on. Grade 3: severe pain and swelling, and more difficulty walking on the ankle. Acute ankle sprains commonly occur through sporting injuries, tripping or falling over. Some other risk factors can include: a lack of strength and stability of the ankle; a previous ankle sprain, especially if not rehabilitated properly; and poor balance. The full recovery of an acute ankle sprain can take between 2 to 6 weeks, although if it is a severe sprain, it may take up to 12 months. In the first 48 hours after the injury occurs, R.I.C.E.R. (rest, ice, compression, elevation, referral) treatment should be applied. Weight bearing may be limited in this acute phase, but gentle range of motion exercises can begin early to maintain and improve movement in the lower leg and foot. When the pain in the ankle decreases, exercise therapy can be introduced. This may involve stretching, strengthening and balance exercises to help return normal function to the ankle. When returning to sport after an injury like this, you must ensure not to go back before the ligaments have had sufficient time to repair and heal. The ankle may need a bit of extra support in the beginning, including taping and extra warm up and cool down exercises. In order to prevent ankle sprains, ensure proper training is undertaken before any sporting events or games. Gradually building up activity, preforming warm up and cool downs, wearing appropriate footwear and allowing adequate recovery time between games will also help lower the risk of ankle injury. How can my Osteopath help? Osteopathic treatment may help to reduce swelling, improve mobility and aid with the recovery and rehabilitation process. The goal of treatment will be to get back full function of the foot and ankle, and help with the process of getting you back to playing sport or other everyday activity. 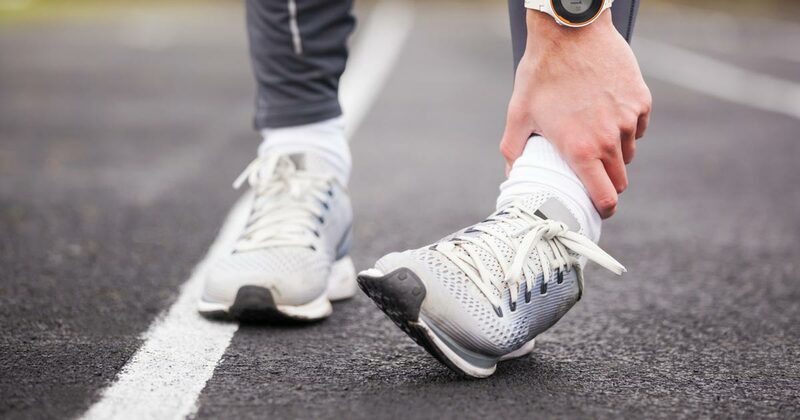 If you suffer an ankle injury, please call our clinic on 03 5144 7750 to make an appointment with one of our Osteopaths, and get your recovery on track as soon as possible.